Livestock auctioneers stand on the auction block in the sales ring, facing the bidders in the audience. They point out any particularly desirable qualities that an individual animal may have, and they mention general information like pedigree, age, and breeder. They begin to chant the asking price, raising the bids in regular increments as they look around the sales area and receive bids from interested parties. Spotting bids, either directly from the crowd or through signals from professional bid spotters (a.k.a. ringmen), is a critical part of this job since bidders may give very subtle signals that they wish to raise their bids. At the conclusion of the bidding, the auctioneer bangs the gavel and declares an animal sold. Additional duties for a livestock auctioneer include assigning lot numbers to animals, tagging or marking animals for identification in the sale ring, and completing a variety of administrative tasks in the office to ensure that all paperwork and health records are for the animals being presented. Livestock auctioneers must have a strong sense of ethics, be able to control the crowd, and maintain their focus in an often chaotic environment. Livestock auctioneers may specialize in working with one particular type of animal (cattle, sheep, pigs) or work with a variety of livestock species. Some livestock auctioneers have additional areas of expertise such as hosting auctions for real estate, automobiles, or personal property. Auctioneering skills, once learned, may be used to sell a wide variety of items. They may also go on to become livestock appraisers. Livestock auctioneers must be licensed if their state mandates it. More than half of states in the U.S. require livestock auctioneers to be licensed, and some of those states have continuing education requirements for maintaining a valid license. To apply for a license, a candidate must be at least 18 years old, have a high school diploma or a G.E.D, and pass a criminal background check. The licensing process usually involves passing an exam, paying a licensing fee, and securing a surety bond. Most aspiring auctioneers either attend auctioneering school or take an apprenticeship with an established auctioneer to learn the ropes. Auctioneering school programs can take anywhere from a few weeks to a few months to complete. These schools teach auction chanting, public speaking, marketing, legal considerations, and ethics. They also have students participate in practice drills to simulate the auction experience. Other candidates forego the school route and gain experience as an apprentice auctioneer, working under the supervision and guidance of an experienced professional. Whether they pursue school or an apprenticeship, the candidate must learn to chant with speed and rhythm so that they can elicit the maximum number of bids in the shortest amount of time. The National Auctioneers Association (NAA) is a professional membership group that offers a variety of certification programs including the prestigious Certified Auctioneers Institute (CAI) designation. The CAI certification process occurs over a three year period, with auctioneers participating in a week of intensive training each March. Continuing education credits are required to maintain the CAI designation. Livestock auctioneers often participate in competitive events to keep their skills sharp and test their abilities against other professionals. The Livestock Marketing Association hosts the annual World Livestock Auctioneer Championship, one of the best known competitive auctioneering events. There are also many regional and local competitions for livestock auctioneering. The Bureau of Labor Statistics (BLS) does not collect information on auctioneers in its salary surveys, but the National Auctioneers Association reports that salary can vary widely due to the commission-based nature of compensation. Auctioneers can expect to earn 10 to 15 percent commission on their sales, plus bonuses in some cases. Pay can, therefore, vary widely based on the number of auctions worked, the volume and dollar amount of sales, the geographic location where the auction is held, and the auctioneer’s reputation and experience. 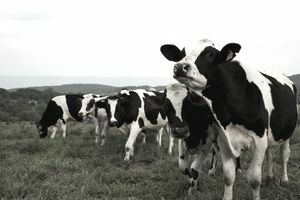 The livestock industry continues to show growth, and prices for milk and meat have steadily increased in recent years. The demand for livestock auctioneers should be fairly strong to accommodate the growing livestock market. What Are Some Careers for Animal Lovers Interested in Rescue Work? What Are Some Animal-Related Dream Jobs?